This post is going to explain about the Oracle Data Pump. We may find n number of articles on Google regards, Oracle DataPump. Let’s add one more. Being Oracle DBA we must explore Oracle RDBMS as much as possible to be veteran in our field. 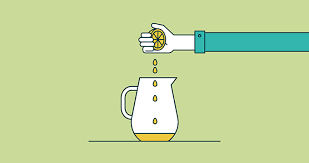 Normal water become Lemonade after adding lemon as we can see the additional feature in RDBMS becomes more useful and valuable. As we know what is the purpose of Data Pump let’s have a quick review with technical definition. ALL loads any data and metadata contained in the source. This is the default. DATA_ONLY loads only table row data into existing tables; no database objects are created. METADATA_ONLY loads only database object definitions; no table row data is loaded. SKIPis the default: A table is skipped if it already exists. APPEND will append rows if the target table’s geometry is compatible. This is the default when the user specifies CONTENT=DATA_ONLY. TRUNCATEwill truncates the table, and then load rows from the source if the geometries are compatible and truncation is possible. For example, it is not possible to truncate a table if it is the target of referential constraints. REPLACEwill drops the existing table, then create and load it from the source. Thanks for giving valuable time to add new gems to Oracle’s treasure.